Accrington Stanley Community Trust is governed by a Board of Trustees whom have a responsibility for the strategy and direction of the charity’s work. Since the inception of the charity in 2010 the board of trustees have grown from strength to strength in both numbers and experience. Our Trustees represent various sectors within the community including education, sport, health, business and commerce. Upheld by our Chair of Trustees, David Keeley and Accrington Stanley Managing Director, David Burgess, the intrinsic link between the football club and charity ensures that there is a clear and constant line of communication between the two organisations. David was appointed as a trustee in November 2011 and became Chair of Trustees in February 2018. He brings a wealth of experience to the charity as a former councillor for 6 years with Hyndburn Borough Council, four years as a Lancashire County Councillor and was also a member of the Lancashire Police Authority for four years. As a former Accrington Stanley Football Club player from 1961-1963 David has a keen passion for the club. 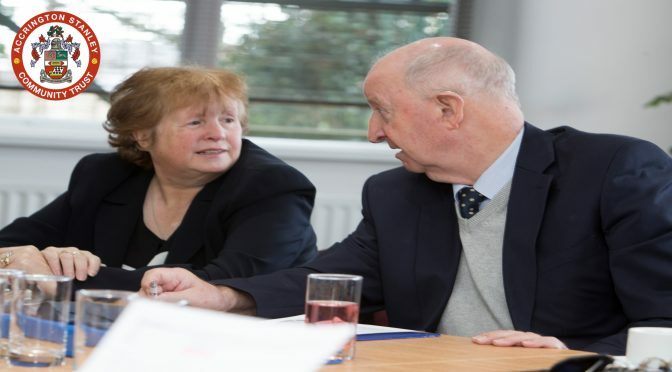 David has over 25 years service as a local magistrate and has also been a trustee of Age Concern. He is the secretary of Whinney Hill Football Club, a post in which he has held since 1977. David is actively involved in the local community and his experience is invaluable to the charity. Tony joined the board in late November 2011. He comes to the board with wide range of experience, as he runs a number of private and social enterprises. He has been on the local Borough Council for 12 years and has previously been Mayor of Hyndburn. As someone who has played and enjoyed the game he has a welcome insight to what we are trying to achieve. Tony was elected by the board of trustees as Vice Chairman in May 2015. David joined as a Trustee in February 2016, representing Accrington Stanley FC on the Board. David is the MD at Accrington Stanley, joining the club in January 2016 after 13 years as CEO at Lancashire FA. Involved at all levels of football, David was player, manager and Chairman at Clitheroe FC, a coach at Clitheroe Wolves JFC and manager of the Ribble Valley and Hyndburn District schools team. Through his role at Lancashire FA, David worked closely with the County FA Football Development Officers to deliver The FA Strategy for football within Lancashire, including participation, inclusion and raising standards. He has a passion for the game and in particular community inclusion, so he has been a welcomed inclusion to the Board of Trustees. Anne joined as a trustee in February 2017 and has over 40 years’ experience of being involved in Girls/Women’s Football, achieving major success with Preston North End and Bronte Ladies with whom she won many awards in a successful playing career. During which has seen Anne involved in a variety of capacities, from promoting the game to Coaching, Managing, officiating and administrative roles at Junior Boys/Girls & Ladies Clubs. Anne’s devotion and commitment to the sport saw her rewarded by carrying the Olympic Torch in 2012. She is committed to sport having previously worked within the Leisure Services for nearly 30 years at Blackburn with Darwen Borough Council covering roles such as Sports Development /Community work and being an Events Officer. Anne’s looking forward to using her knowledge and experience, especially to encourage participation and develop grassroots football. Purves joined the board of trustees in January 2018 and brings a wealth of expertise. An experienced Freelance Business Advisor and Business Development Consultant, (SFEDI Accredited) with over 18 years experience, delivering a number of enterprise projects in the North West area. Purves has a strong track record in assisting companies in development and growth, as well as driving new projects & initiatives to a high standard to agreed timescales. Key areas of support include project management, business planning, marketing, training & development, advice on grants & funding available. He has supported organisations such as the Business Enterprise Trust, Enterprise Plc, Oldham Chamber of Commerce, University of Central Lancashire, North West Centres of Excellence, Burnley College, Bolton Business Support services, Lancashire Care Association, Elevate, Regenerate Pennine Lancashire, Growth Lancashire Ltd and Accrington Stanley . Purves is also the chairman of Whinney Hill Football Club, a governor at Accrington Academy and has been a senior football scout for Manchester United for over 13 years. Robert is a life long supporter, former Operations Director and currently Supporter Liaison Officer and Disability Liaison Officer at Accrington Stanley Football Club and was appointed as a trustee in October 2011. His role is to support the Trust in promoting equality and inclusion, equal opportunities and eliminating discrimination through our work across schools and communities including activities on match days. 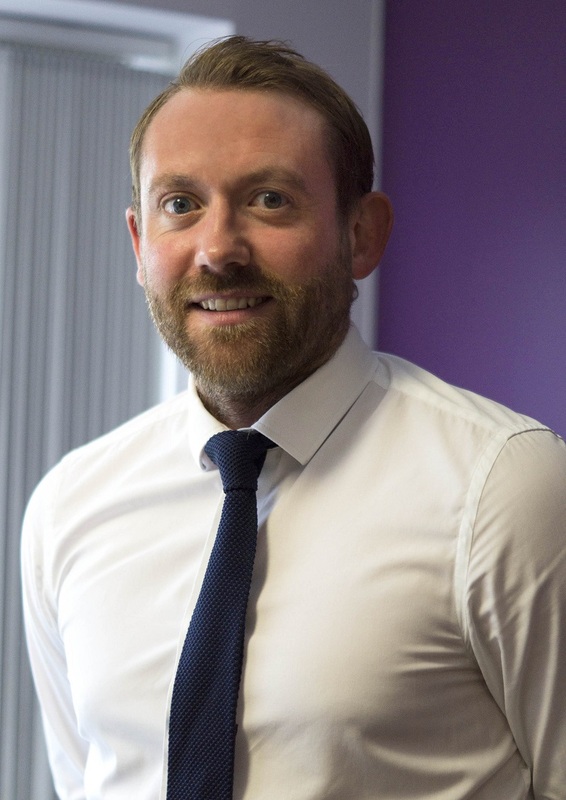 Robert previously worked as a Deputy Head teacher and Educational Consultant in Blackburn with Darwen and can be seen working at the football club in a match day role. Accrington born and bred, John is a Director of Haworths Financial Services Limited who are also based in Accrington on Eastgate. He joined Accrington Stanley Community Trust in March 2018 as a trustee. A member of Church and Oswaldtwistle Rotary club, previous President, and Secretary of Accrington Grammar School Old Boys Association his real passion is Sport, particularly Sport and the provision of Sporting facilities in the local area. Previously a committee member of the Hyndburn Boys League, John was instrumental in negotiating the merger with the Blackburn boys’ league to form the East Lancashire Football Alliance. This is one of the largest leagues in the North West and has received many awards from the LFA and the FA. The highlight of which was a trip to an England game at Wembley as winners of the Respect campaign. John is now President of the East Lancashire Alliance football league and is extremely motivated to help Accrington Stanley Community Trust achieve their admirable aims. Tom joined Accrington Stanley Community Trust as a trustee in April 2018 and brings a key skill set to the organisation. Tom qualified as a solicitor in 2005 after completing his LPC at University of Central Lancashire. A Partner at Farley’s Commercial Law office, Tom specialises in commercial property including acquisitions and disposals, development site preparation and infrastructure, landlord and tenant work, development agreements, option agreements, refinancing transactions and property aspects of corporate transactions. Tom has a keen passion for sport and is also a director of Accrington Stanley Football Club. He will use his expertise to help develop the Trust further and play a key role in the legalities of the Sports Hub project.